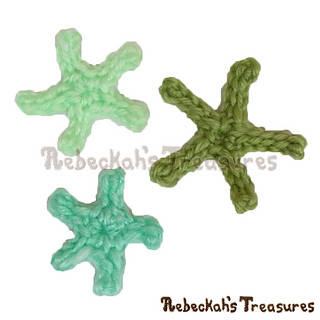 Looking for some under the sea flare? 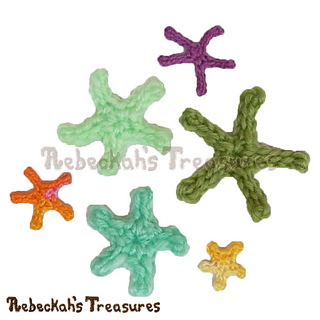 Crochet these delightful Starfish Motifs! 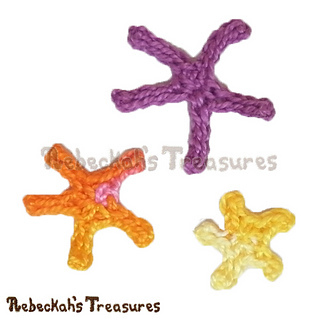 This simple appliqué pattern includes written instructions for crocheting a starfish motif in three sizes, without or with one or five beads, giving you a total of 9 motifs. 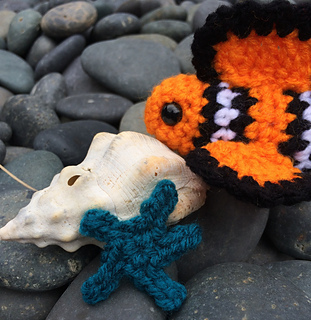 Visit the blog to grab the free PDF version of this pattern. Use alternate yarn weights and hook sizes to achieve more sizes! Cotton Thread + 1.05mm Hook - 1” (2.5 cm). Sport Yarn + 3.75mm Hook - 2” (5 cm). Cotton Thread + 1.05mm Hook - ⅞“ (2.25 cm). Sport Yarn + 3.75mm Hook - 1 ¾“ (4.5 cm). Cotton Thread + 1.05mm Hook - ⅝“ (1.5 cm). Sport Yarn + 3.75mm Hook - 1 ½“ (3.8 cm). Please note: These sizes are approximates. Your yarn, hook and tension choices will change the finished size of these motifs.